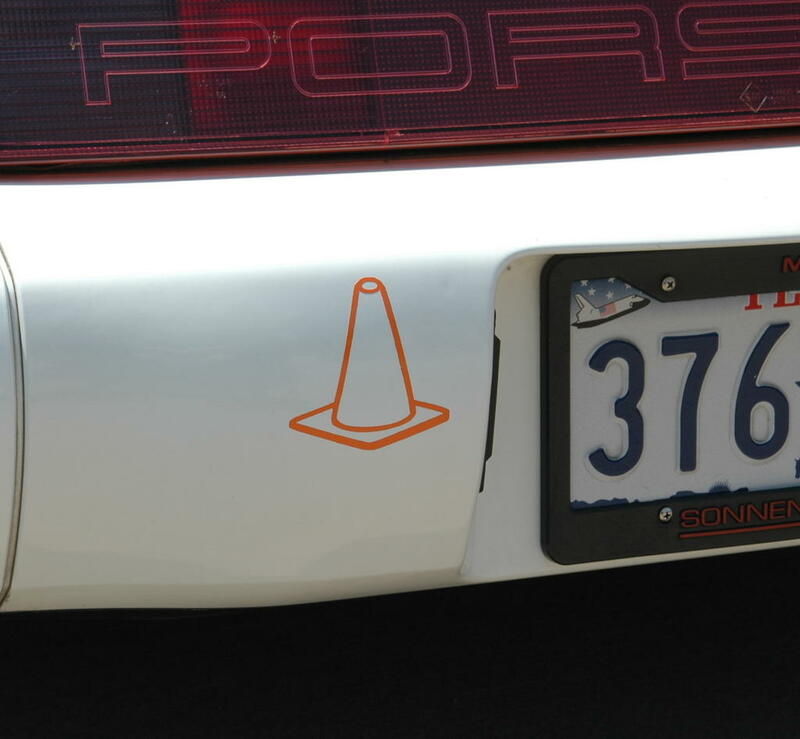 Scuba divers have the "Diver Flag" on their bumper...well here's something for those of us who like to autocross. Shouldn't that have a international No (circle with a slash) around the cone? Aka No cones? I like it! Where did you get it? Can you add a tire tread mark near the bottom of the cone?